Architects, engineers, contractors and inspectors are coming to rely on ProX Header Systems for a standard solution to all door and window openings. 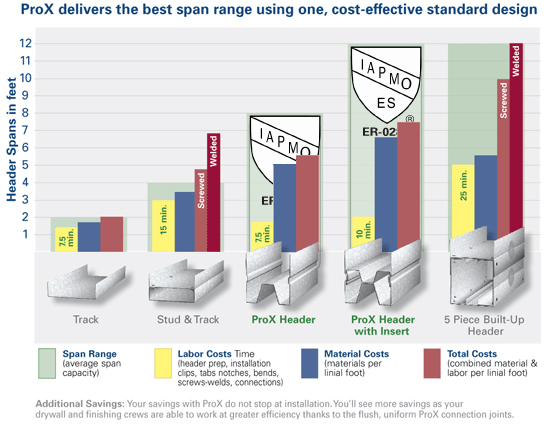 The ProX System is the solution for interior and exterior wall openings. It’s also a SNAP for HVAC and Sill applications. single track and the excessive, built-up, traditional box header.